Free! 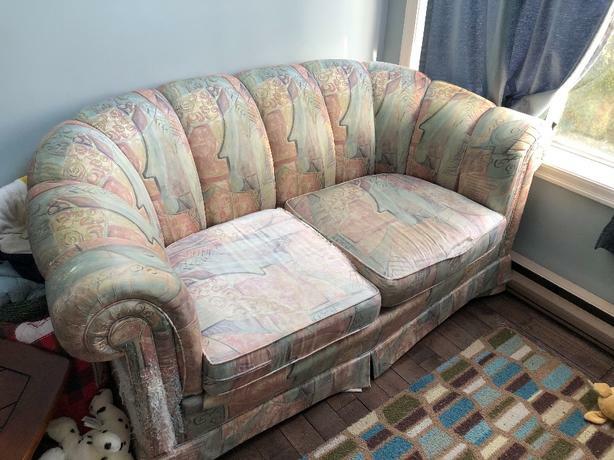 Comfy loveseat couch with grey slipcover. 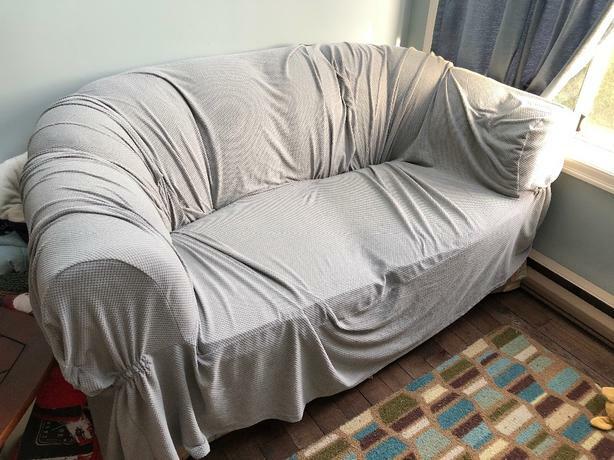 The couch has cat scratch marks and one of the cushion covers has a rip, but everything is covered with a soft grey slipcover. Pick up in James Bay ASAP.